Summer Star Parties 2016 at the Dominion Astrophysical Observatory! Back for 2016! 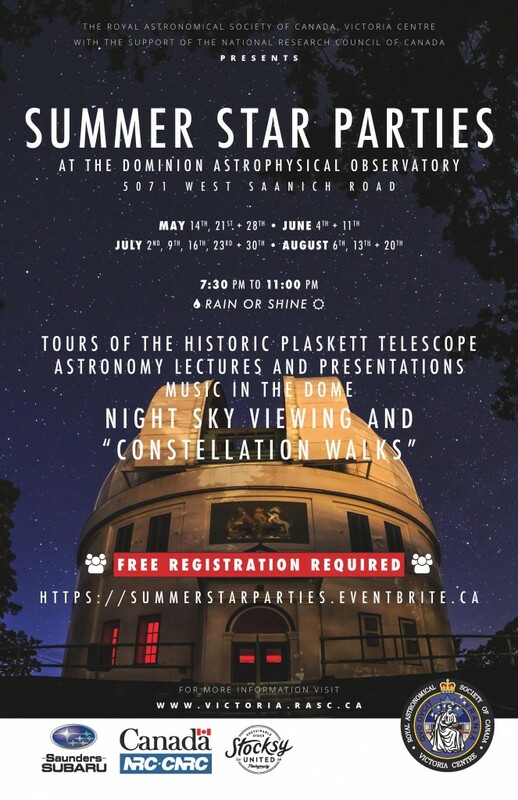 The Victoria Centre will be hosting thirteen Saturday Evenings at the DAO, featuring guest speakers, solar and nighttime observing with telescopes provided by RASC-Victoria Centre volunteers, tours of the historic Plaskett telescope, and more! Rain or shine, we will have something for everyone to experience. May 14, 21, 28. June 4, 11. July 2, 9, 16, 23, 30. August 6, 13, 20. Special encore September 24. Lecture Hall – This summer we have a full slate of topical presentations from the astronomy community which includes researchers, authors and passionate amateurs. There are possibilities of surprise guest speakers. Come early most presentations start at 8:15pm and most do not repeat in the evening. Plaskett Dome – The dome is a heritage site, and not to be missed. Tours are approximately 45 minutes long and start at 7:45pm. Two other tours start at 8:30pm and 9:15pm. 16” Telescope – This research-grade telescope was originally located on Mt Kobau near Osoyoos for site testing towards potentially building an observatory there. It was then moved here to the DAO, and then from another area on the DAO property to this site when the Centre of the Universe building was constructed in the early 1990’s. It is now available for viewing “live” through an eyepiece. The telescope is open subject to weather conditions most of the evening. Information Area – There are volunteers available to help you with your evening visit and if you’re interested they can let you know how you can get involved in astronomy activities in Victoria. Look for kid friendly displays from Science Ventures in this same area. Interpretive Centre Displays – The displays from the former interpretive centre show Canada’s role in astronomy and contain a number of historical artifacts of interest. Dr. Geoff Steeves is a physics professor at the University of Victoria in Canada and a faculty member at the International Space University. He conducts research on Mars analogue environments and tele-robotic exploration. At the International Space University he chaired the SSP Space Science Department from 2012-2014 and now co-chairs the Space Humanities Department 2015-present. Geoff is an experienced SCUBA diver and pilot with a commercial pilot’s license and multi-engine instrument rating. The last summer star party at the DAO this season! The Canada-France-Hawaii Telescope serves a diverse audience of astronomers and the general public in six countries: Canada, France, Hawaii (US), Taiwan, Brazil and China. The recent hiring of a full time public outreach manager gives CFHT the opportunity to expand its outreach presence in each of these nations while simultaneously reaching our local Big Island community. The observatory’s goals are ambitious; unlike other multi-national institutions pursuing a dynamic outreach presence, CFHT is a smaller facility with fewer staff fully devoted to public outreach. In this talk, I will discuss who we are at CFHT and our plans to connect to the people of Canada, France and Hawaii. Mary Beth Laychak is the Outreach Program Manager at the Canada-France-Hawaii Telescope on the Big Island of Hawaii. Mary Beth has an undergraduate degree in astronomy and astrophysics and a Masters degree in educational technology. Her passions include astronomy, sharing astronomy with the public and astronomy based crafts. Since the invention of the astronomical telescope in the 17th century, astronomers have pushed the technology to build larger lenses and mirrors to observe fainter and more distant objects. But for a long time, optical telescopes haven’t been able to improve their resolution because of the limit imposed by the turbulent atmosphere. Adaptive optics is a new technique that corrects the atmospheric aberrations on telescopes and opens new horizons in astronomy. I will discuss how adaptive optics performs its magic and I will show some of the results that can be achieved with it. We’ll give also a look at the future adaptive optics system for the Thirty Meter Telescope that will be built in the next decade. This instrument is part of the Canadian contribution to the telescope and it will be assembled in Victoria on the very same hill of the Dominion Astrophysical Observatory. Paulo is from Italy and he graduated in Padua and Trieste (respectively for his Bachelor and Master degrees in Astronomy). He is a PhD student in Astronomy at the University of Victoria and his field of research is adaptive optics. This year at the Annual CASCA Conference he won an Award for Best Student Talk at the conference. New! Live, through the lens viewing with the 16“ telescope. Friends of the DAO – Sign up as a new member! We need your support to bring educational programs back to the DAO during the year and to upgrade the exhibits. Popcorn, Hot Chocolate and Light-Up wrist bands available by donation. 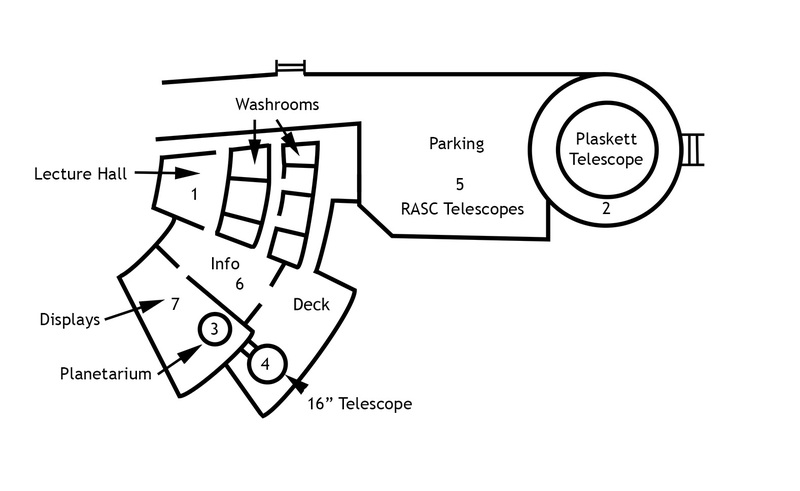 Telescopes will be set up for Solar Viewing and for Night Sky viewing by members of the RASC all evening. A reminder that there is NO SMOKING on the hill at any time. Please dress warmly as it gets very cool after it gets dark. There is limited parking for those with mobility issues at the top of the hill. Please ask the Commissionaires when you arrive if you need one of these spaces. We cannot guarantee a spot at all times but visitors may be dropped off and picked up if necessary. There is limited parking at the top of the hill. Most of the parking is in the lower lot. Please be advised that there are a number of stairs to climb to get to the entrance to the Centre of the Universe building and the DAO. For safety reasons, no foot traffic is permitted on the road to the top. Visitors may not park on W.Saanich Rd and walk to the top. Sorry everyone, with no power and no idea of when it may be back on, tonight’s public star party at the DAO is CANCELLED. “Science in Space: Educational Fun for Kids of All Ages”: 7:30 to 10:00 pm Virtual Reality with Science Venture from UVIC and sponsored, in part, by the UVIC Alumni Association. Our representation of the Universe has evolved throughout the ages. From the first men to Ptolemy, we have always tried to understand the skies. Modern astronomers have access to tools that their ancestors did not even dream of. This lead to multiple big and small revolutions in our understanding of the Universe in the last centuries. We retrace some of these moments that shaped our knowledge of the Universe. Bio: Sebastien Lavoie is a second year PhD student at the University of Victoria. Prior to that he obtained his MSc in Quebec City. He studies the evolution of massive galaxies in clusters. 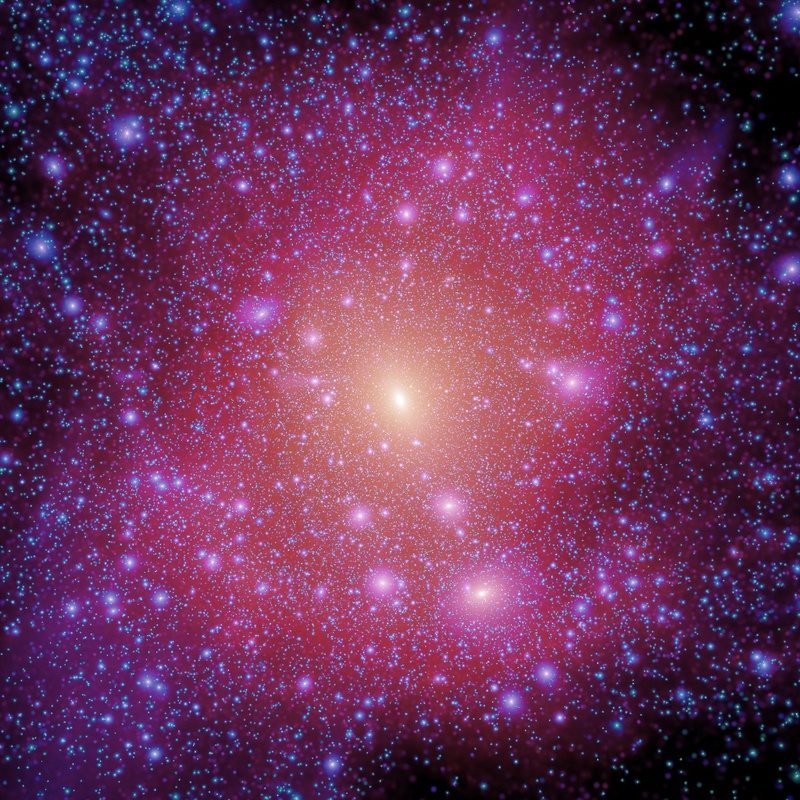 The standard model of cosmology has been very successful in explaining the galaxy formation and structures in large scales, but observations on smaller scales raised potential questions about the validity of the model. 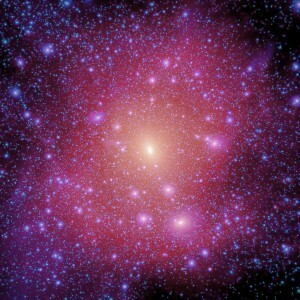 Studying faint galaxies (dwarfs), therefore, has become more important for understanding the galaxy formation framework. Bio: Azadeh was born and raised in Iran. She studied Physics for her BSc in Tehran-Iran at the Sharif University of Technology. In 2011 she moved to UVic for her MSc in Astronomy, transferring into a PhD program in 2013. 9:00 and 9:30 – Live from Gemini is a video field trip to the Gemini North telescope. People experience Gemini’s latest science and discover the excitement of scientific exploration of our universe and interact with a Gemini astronomer in Hawaii. The weather was near perfect for our RASCals Star Party this year for both nights, Friday and Saturday. There were some bleary-eyed observers leaving the Metchosin Cricket Field on Sunday! Many people camped on the field and setup their telescopes to take advantage of the nice dark skies at this rural site. RASC members and the public enjoyed a great two days of everything to do with astronomy. There were some very nice door prizes give away this year, including laser pointers, books, toys (for grownups and kids), binoculars and a telescope! 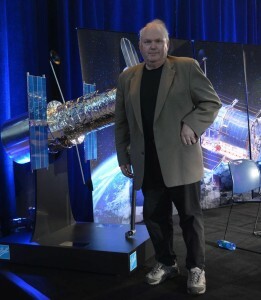 8:30pm – Presentation- Hubble History, Dr Chris Gainor. 9:30pm –Guided Telescope Walk , followed by viewing of the night sky. 3:00pm – Workshop (gazebo): Astronomy Apps for desktop and Mobile, David Lee. 4:00pm: Introduction to Astronomy, Sherry Buttnor. 8:30pm – Speaker- Exploring Mars: a Cartographer’s View, Dr. Phil Stooke. Our speakers start their talks just after sunset each evening. This year marks the 25th anniversary of the launch of the Hubble Space Telescope. This talk will summarize that quarter century of astronomical advances that has changed how we look at the universe and how astronomy is done. HST had a difficult start when it was discovered that its main mirror suffered from spherical aberration, a problem that was overcome by a crew of space shuttle astronauts that installed new instruments on Hubble. When a later shuttle repair mission was cancelled in 2004, an outcry from astronomers and the public led to the mission being restored. Today Hubble is still going strong with its new instruments. Chris will tell the story of Hubble’s operations in orbit based on the research he is doing for a book telling the history of HST. Bio: Chris Gainor is a historian of technology and writer specializing in space exploration and aeronautics who is currently writing a history of the Hubble Space Telescope for NASA. He is the author of four books, and his writings have appeared in various specialty publications and Canadian newspapers. He holds a PhD in the history of technology from the University of Alberta, and has taught history at the University of Victoria and at CFB Esquimalt for the Royal Military College of Canada. He is First Vice President of the Royal Astronomical Society of Canada, a former president of the Victoria Centre of the RASC. Chris is also International Space Programs Editor for Quest: The History of Spaceflight Quarterly, and a Fellow of the British Interplanetary Society. He is also known for bringing history alive through his appearances as Sir Winston Churchill. Abstract: This talk will summarize the history of Mars exploration with many illustrations from Phil’s books. The story will begin with telescopic views and the earliest NASA and Soviet missions, and will extend to recent activities by the rovers Opportunity and Curiosity. Much more than just a collection of press releases, the presentation will delve into many unfamiliar aspects of Mars exploration. How were the various landing sites chosen? Where was the Soviet Mars 7 supposed to land? What was underneath Viking 1? And how do we know where Opportunity is on any given day? Bio: Phil Stooke grew up in England and eventually attended U. Vic, where he completed a B.Sc. in 1985 and a Ph.D. in 1988. Since then he has taught cartography and planetary science at the University of Western Ontario. Phil’s Ph.D. topic was mapping methods for non-spherical objects such as asteroids, and many of his maps are now available through NASA’s Planetary Data System. He continues to work in that area, most recently compiling digital maps of comets Borrelly and Hartley 2 and asteroids Eros and Itokawa. Phil has also written on the history of lunar and planetary cartography, and he has compiled several large reference works on lunar and Mars exploration. 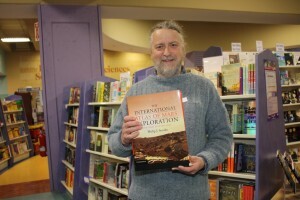 His International Atlas of Lunar Exploration and International Atlas of Mars Exploration are available in the U. Vic. Library, and a second volume on Mars exploration, covering the current rover missions, is in press. 8:00 pm “The Gemini Planet Imager, A New Era of Imaging Exoplanets has begun” – Dr. Christian Marois, Herzberg Institute of Astrophysics, Victoria. Bio: Dr. Marois is a National Research Council astronomer and a pioneer in the field of imaging exoplanets. He started the field a decade ago as a graduate student, and he is now deeply involved in the Gemini Planet Imager campaign, the thirty meter telescope, and space observatory concepts to push the boundary of the field to one day take images of another Earth. 9:00PM “What’s up in the Sky Tonight” – David Lee, RASC Victoria Centre. TONIGHT ONLY: A “Mars Rover” Robotic Demonstration from the FIXIT 3491 team that went to the World Robotic Championships in St. Louis Missouri earlier this year. 8:00 pm “Climate Change – Where are the Essential Data?” – Dr. Elizabeth Griffin, Herzberg Institute of Astrophysics, Victoria. Bio: Elizabeth Griffin carries out research into binary stars, using data obtained at the DAO with the smaller (1.2-m) telescope. Her work sometimes needs to incorporate historical data from photographic plates, and that connection has led to a broader involvement with “Data Rescue” in other sciences worldwide and what “old data” mean for them too. She has also studied the Earth’s ozone using astronomical data, and is a passionate speaker on the role of science, as well as technology, in addressing climate change. 8:00 pm & 9:00PM “Apollo: Astronauts Explore the Moon” – Dr Chris Gainor, RASC Victoria Centre. Bio: Dr Michele Bannister is a planetary astronomer at the University of Victoria and NRC Herzberg who specialises in the study of the outer Solar System. She is the postdoctoral fellow for the Outer Solar System Origins Survey, a Canadian-led effort to discover hundreds of new icy worlds in the Kuiper belt. Tuesday July 14 is going to be an historic day. The New Horizons spacecraft will make its long-awaited flyby of Pluto, obtaining the first closeup photos and data from this mysterious world. In honour of this event, I am arranging an informal and fun event at Pluto’s Restaurant (“The Hottest Food from the Coolest Planet”) in Victoria, BC, Canada at 6 p.m. on July 14. 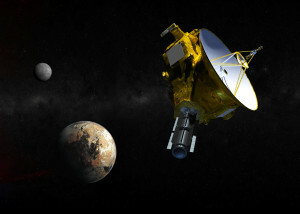 This will be a dinner and celebration, including an update with the latest news from Pluto. If you are interested in taking part, please let me know, so I can give the restaurant people an estimate of how many people they can expect. Once there, you can order off the menu and pay for your meal as usual. About the time we sit down for dinner, the first transmission from New Horizons after its flyby is due to arrive on Earth. I am also trying to arrange for an expert speaker to give us a very brief update on the findings from New Horizons. 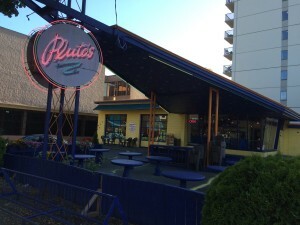 Pluto’s Restaurant is at 1150 Cook St., at the corner of View St. near downtown Victoria. This flyby will be an historic event, no matter how you classify Pluto. This will be the last first-time flyby of what some call a “classical planet” and the first of one of the many smaller planets in the Kuiper Belt. Interestingly, the first flyby of a planet (other than Earth) was Mariner IV’s flyby of Mars on July 14, 1965, exactly fifty years before the New Horizons flyby of Pluto. If you are planning to attend, please let me know or join the Facebook event. Family and friends are also welcome!